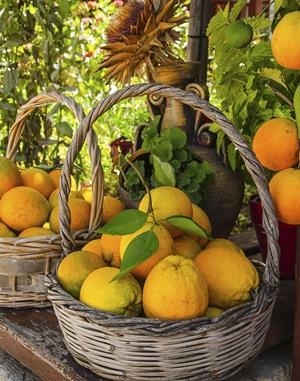 The hopes of 30 emerging citrus farmers were almost dashed nine years ago when a strategic business partner’s contract with the Limpopo government expired and was not renewed. The farmers, who grew citrus on 300 hectares on Mabunda Farms – which is under traditional leadership – in Xitlakati village outside Tzaneen, had been offered the strategic partner by the Limpopo Department of Agriculture’s parastatal, Agricultural Rural Development Corporation (ARDC), to source funding and gain expertise and markets for their oranges, grapefruits and lemons. “The ARDC terminated the strategic partner’s contract. When we asked about plan B, they said they don’t know,” said the Mabunda farmers’ coordinator, Bennet Malungane. “We were stuck. Our electricity supply was being cut off because we couldn’t pay Eskom,” Malungane said. Then in 2016, Lona Group came on board and things started changing. Lona is comprised of a number of entities and joint ventures that operate throughout the agricultural value chain. Lona partnered with the Mabunda Farmers Cooperative after the Government Employees’ Pension Fund (GEPF), through its asset manager Public Investment Corporation (PIC), invested in the group to drive empowerment, job creation and land reform in the agricultural sector. The Mabunda farmers started Mabunda Citrus and, with Lona Group’s guidance, they are now exporting cartons of their products to Europe and the Middle East from 293ha. The Mabunda community holds 51% shares in Mabunda Citrus and 49% is held by the Lona Group. Mabunda Citrus employees comprise 63 permanent workers, 42 temporary workers and 26 learner students. The company also employs 300 seasonal workers. “What makes us progressive is strong management and transparency from our strategic partners in terms of finances and other things,” Malungane said. He said their production would increase in the next couple of years after the community donated 422ha to Mabunda Citrus. “At that time, we expect to export 1 million cartons,” Malungane said. Last year, Mabunda Citrus exported 355 000 cartons valued at about R38 million. “When we worked with the ARDC, each of us had 10ha. When we partnered with Lona, we amalgamated the orchards. Suddenly, there were huge changes as production increased drastically,” said Malungane. Lona Group has three partnerships with black communities and businesses. The New Dawn Farming in Hoedspruit, Limpopo, produces citrus and mango on 531ha while Ilima Management Holdings in Malalane, Mpumalanga, produces citrus and sugarcane on 1 278ha. In future, Lona Group will invest R125 million in the three businesses. Lona Group managing director, Spencer Johnson, said Mabunda Citrus had been producing 134 000 boxes, but that number was up to 372 000 in the following year. “This year, we expect to pack 500 000 boxes and eventually 1 million. With very strict control, we’ve been able to double and triple the production. They were losing money in 2016,” Johnson said. The 2016 turnover from export, Johnson said, was R14.5 million. It grew to R38 million in 2017. GEPF principal executive officer Abel Sithole said the fund had a developmental investment mandate, meaning it invests in projects that contribute to infrastructure development and black economic empowerment projects that help create jobs, relieve poverty, support environmental stewardship and transform the South African economy. He said the fund had grown from R127 billion in 1996 to R2 trillion currently, despite GEPF being criticised for its investment strategy and policy. “The primary objective of the investment decision made by the PIC on behalf of the GEPF is to achieve the most optimal return for the risk taken. “Taking risk means some investments may not provide the expected returns,” said Sithole.